Welcome to Adzooma Affiliate Program! Adzooma makes it easy for businesses big and small to advertise online in just a few clicks. No experience needed, no steep learning curve, no more wasted time or money. 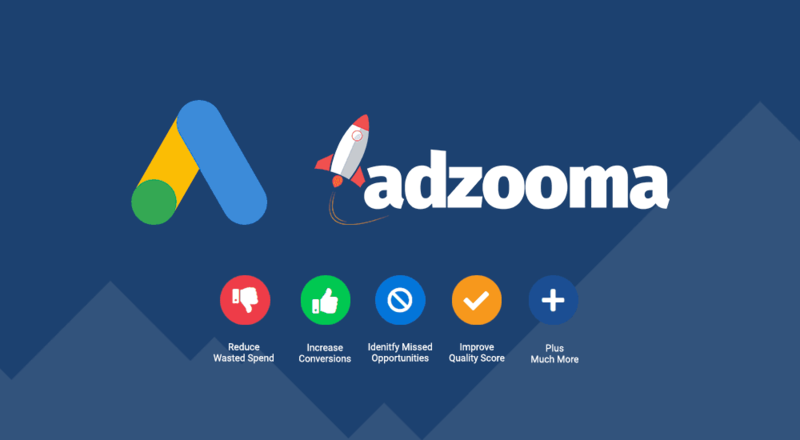 Your visitors can simply open an Adzooma account and begin advertising on the huge PPC marketplaces including Google Ads and begin running their ads within hours. There are millions of businesses who understand the power of PPC advertising, but are afraid to use it. They are not experienced in online advertising and they're not online tech savvy, so they desperately need a step by step, cost effective solution. They're missing out on the fast, consistent results PPC can bring them and you can offer them the solution, thanks to Adzooma, by promoting us on your website. How do I become an Adzooma Affiliate? Get a link: We give you a link that’s unique to you which you use on your website or in your emails. Share the Link: Your visitor clicks on this link, our system tracks that they came from your website. Customer Signs Up: Your visitor browses our website and may decide to sign up to one of our products. Earn Commission: When you visitor signs up for a paid plan, we record the sale and credit you with your commission. Innovative Product: Promote an innovative product in a hugely popular and growing niche, for easy conversions. Industry Leading Payouts: With commissions up to $150 per new customer, you don't need many sales to earn big. Flexible Commissions: Choose your favorite payment method from CPL and CPA to suit your business. Instant Affiliate Resources: Save time with our professionally written promotion resources, such as banners and emails.